I entered Brazil in the Fall of 2017 knowing only a couple words in Portuguese. The first month of my program SIT: Fortaleza Brazil included intensive language classes for three hours a day. While these classes were effective, they were at times overwhelming. In addition to the language classes, I practiced Portuguese at home every day with my host family, because not everyone in my host family spoke English. I put pressure on myself to learn Portuguese with the intention of building stronger relationships with my Brazilian family. I loved experiencing the growth of my language skills; however, the pressure and constant classes were at times stressful. My program had us write introduction letters before we met our host families. In my letter, I described reading as one of my interests. The first day with my family, my host mom insisted I visit the bookstore Livraria Cultura, which was only a few blocks from my apartment. She constantly raved about this bookstore. It was not until I finally made my way to the store that I understood her excitement. In addition to a café, it consisted of two levels of every kind of book, magazine, and DVD. While this arrangement might sound like any Barnes and Noble, it was not. The space was open and designed for people to spend long periods of time in the store. The cafe/study space flowed into the shelves of books, which contained plushy-chaired reading nooks. A balcony connected the two floors into one space. Families brought their children to explore and play. Although many people utilized the space, everyone respected the calm atmosphere of chill music and soft whispers of people’s voices. 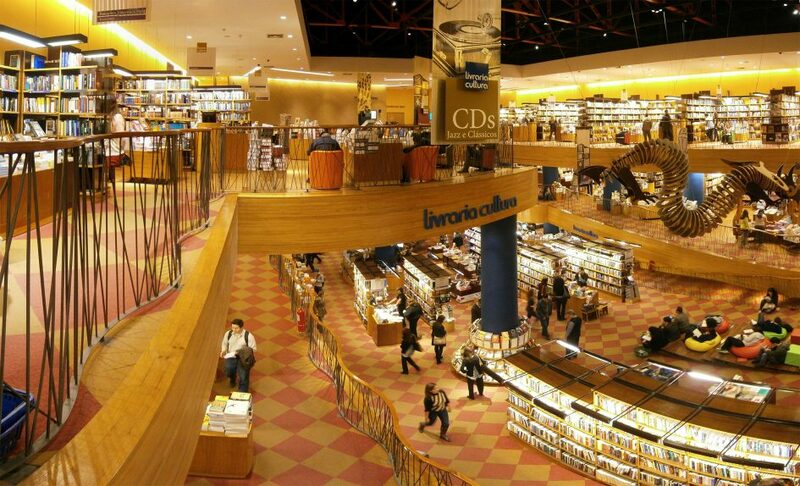 One of my favorite days in Brazil took place in Livraria Cultura. On a Sunday, a couple months into my program, I decided to walk over to my favorite study spot. My friend Shane came along. We unexpectedly ended up spending nearly six hours in the space. What started as lunch in the café turned into an adventure in the Children/Young Adult section of the store. After we determined that our Portuguese reading level was beyond picture books, we laughed our way through the Twighlight series then some John Green novels. While you will likely not find a Livraria Cultura outside of Brazil, many communities have a library or bookstore. When learning a new language becomes overwhelming, I recommend stopping by one of these spaces. Flipping through the children’s books built my confidence in my Portuguese reading skills. Reading the young adult novels with my friend was both nostalgic and hilarious. There are many fun ways to learn a new language abroad that you can’t find at home.